Our task is to demonstrate that leadership President Truman talked about in the face of daunting challenges. I have read and studied the complete report of the Budget Review Committee; I have met with its members; I have been in discussions with the Presidents’ Council, and had conversations with a number of faculty and staff impacted by the proposed recommendations. I also understand the gravity of the financial situation in which the University finds itself, much of which is not of its own doing. The sad reality is that state funding for higher education generally, and for Eastern Kentucky University specifically, has been on a downward trajectory for the past decade, if not more. This declining support is compounded by our increased obligation as it relates to pension liabilities. It truly is a perfect storm and financial reckoning the likes of which EKU has never seen in its long and storied history. News from Frankfort of the past few days may very well mitigate, somewhat, the financial impact on our biannual budget. If, indeed, there is some relief in sight, I would advocate that the reductions to the academic side of EKU be the first area where these cuts are minimized, specifically in three areas. I can speak specifically – and personally – to two of these areas and then will make general comments toward the end of my comments about the third. In my role as President of EKU, I strive to remain as objective and impartial as I possibly can. Every discipline and field of study has merit, and one of the benefits of my position is being surrounded by capable and committed faculty who are experts in their respective fields and who have dedicated years to mastering their subject matter and perfecting their craft. I am 100% committed to the academic mission of Eastern and the students we serve as our top priorities. But in this age of not being able to be everything to everyone, we have to make difficult choices. And that is why I recommend the Board support the proposed reductions listed in the Budget Advisory Committee’s report, along with the list of suspended programs as ratified by the Council on Academic Affairs. The only programs not approved for suspension by the CAA were Economics and Theatre. The basis for my rationale is grounded in the belief that any university -- public or private, large or small – is not truly a university without economics or theatre. Some might question why I am making this recommendation and even posit that in doing so, I am imposing my own personal judgments at this juncture in the process. Perhaps I am, but I also have that obligation as President of the institution to present my own personal and professional perspective, developed over years of experience and study. When I arrived in England to pursue my own graduate work in 1991, many of my fellow classmates – some of whom were Rhodes Scholars and much smarter than I – enrolled in a second bachelor’s program called PP and E: Politics, Philosophy, and Economics. My Oxford classmates, graduates of the PP&E program, have pursued successful careers in Banking and finance; Politics; Journalism and broadcasting; Law; Industry; education; Social work; Accountancy; Business management; Advertising and many branches of government. Ask any of our own Economics faculty where our graduates have landed and they populate these same fields. Believe me, we have heard from scores of them in the past few weeks, and they are very proud of their EKU degrees and grateful for the training they received as students. That said, I have met with our Economics faculty and have encouraged them to review their curriculum and determine what changes can be made, wholesale, in order to increase enrollments, to improve the success of their program, and to make their graduates even more marketable in today’s ever-changing economics and business environment. Among the ideas we discussed are to move these faculty to the School of Business in the College of Business & Technology, effective next academic year. These faculty would be housed in the Department of Accounting, Finance & Information Systems. 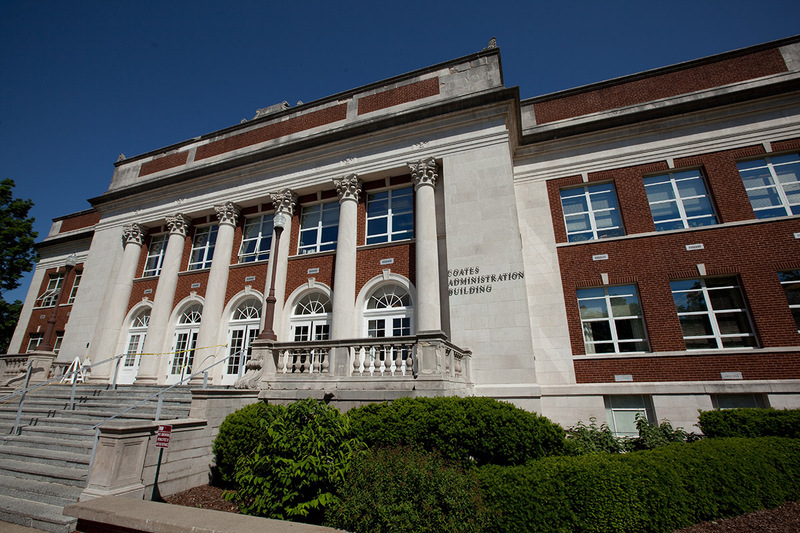 We would transition the current bachelor of arts in economics to a bachelor of business administration in economics – the only degree of this type in Kentucky. These economics faculty would also assist with teaching courses currently required for 13 of the programs in business and technology. I might add that economics courses are required for other majors, such as education, for those students seeking proficiency in subject areas. 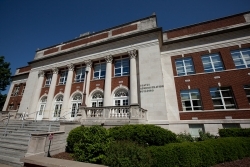 I recommend the Board give these faculty over the next several months – together with our academic leadership team – the opportunity to develop an aggressive plan moving forward that will preserve these faculty positions and save our Economics Program for the benefit of hundreds of EKU students who count on the University to provide this course content. Former Dean John Wade has agreed to lead this effort and will be prepared to report on progress of the ad hoc working group at the next Board meeting in June. Again, I hearken back to my time in England and the chance to buy “student rush tickets” on the day of a performance in London’s West End for 7 pounds. For less than the price of one ticket to the local Cinemark, I saw some of this generation’s most celebrated actors from the front row like Dame Judy Dench, Peter O’Toole, and Jeremy Irons to name just a few. If we were to eliminate the two faculty positions and suspend the minor and certificate programs, we could risk that there would be no more productions on our campus, nor would the University have ANY theatre courses for general education or electives. Further, there would be no avenue for certifying theatre teachers for public schools. And there would also be few, if any, opportunities to bring our campus community together, in what Mr. Wilder described as the “greatest of all art forms.” While the educational loss for our students is difficult to calculate, the civic and cultural impact of this action would be devastating. We are only a semester and a half along into the changes to our theatre program developed as a response to the drop in student subscription rates. My recommendation to the board is to give Dean Zeigler and her colleagues a bit more time to continue to develop the Theatre minors and the certificate in performance and allow us to properly support the program so that it can improve in terms of its presence, visibility, and student impact. The minimal expenses EKU makes in these theatre efforts more than justifies the return: these investments redound to our community and add to the vitality and richness of our campus. Eastern deserves to have a theatre program. Every great University does. As it relates to the third area, one only need pick up a newspaper or turn on the evening news to see the acute challenges those working in mental health are facing on a daily basis in our society – especially those professionals helping students in our elementary and secondary schools. I recommend to the board that the school psychology program be continued for the time being without enrolling any new students – but be thoroughly studied – with a view toward taking it online with the proper accreditation and staffing. We are in no way diminishing our commitment to training school psychologists and helping those currently enrolled in the program to complete their degrees and gain employment in their areas of expertise. What the Budget Review Committee found with this program was the low face-to-face enrollment in the master’s program made it hard to justify its high expense. We remain committed to training those who have made the investment to help our kids – but to do it in a way that is more accessible and more affordable to all those who choose to enter this field of study. This program fulfills a great need in our Commonwealth and beyond. I believe a restructuring of this program and taking it online – again working to gain the required accreditation -- would support not only our commitment to education, but our institution’s long history of service in support of teachers and schools. I again thank the members of the Budget Advisory Committee. They performed their work with an unwavering commitment to EKU within the parameters and guidance provided them. While we had to adhere to our internal timelines and processes, I recognize we did, however, put the Committee at a bit of a disadvantage, requiring their recommendations be submitted in the middle of the legislative session. I remind you, they offered their work for the review of the President’s Council exactly four weeks ago, prior to the various versions of pension and budget bills we have witnessed in just the last week. In light of some pension relief, albeit limited, I am also required to provide my own recommendation to preserve some of these academic programs if resources allow, and have done so this morning based on my own perspective and experience.